Tommaso Design(tm) Round 7mm Simulated Alexandrite and Diamonds Bypass Ring crafted in 14 kt White Gold Dimensions: Width: 7.00 mm Length: 7.00 mm. 1 Stone 1.50 Carats Round 7mm Color: Color Change, 2 Stones 0.01 Carats Round Diamonds Color: K Clarity: I3.. Metal Available: 14 kt Yellow Gold, 14 kt White Gold. 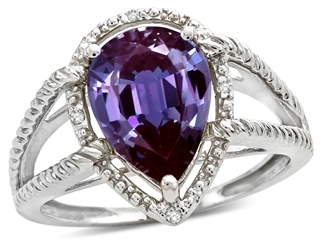 Tommaso Design(tm) Round 7mm Genuine Amethyst and Diamonds Bypass Ring crafted in 14 kt White Gold Dimensions: Width: 7.00 mm Length: 7.00 mm. 1 Stone 0.90 Carats Round 7mm Color: Violet, 2 Stones 0.01 Carats Round Diamonds Color: K Clarity: I3.. Metal Available: 14 kt Yellow Gold, 14 kt White Gold. 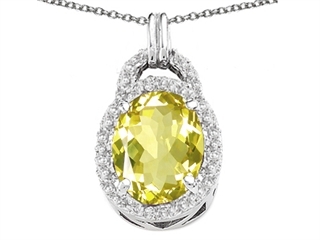 Tommaso Design(tm) Oval 10x8mm Genuine Lemon Quartz and Diamond Pendant crafted in 14 kt White Gold Dimensions: Width: 10.00 mm Length: 15.00 mm. 1 Stone 2.00 Carats Oval 10x8mm Color: Yellow, 6 Stones 0.03 Carats Round Diamonds Color: K Clarity: I3 Free 18 inches chain included .. Metal Available: 14 kt Yellow Gold, 14 kt White Gold. 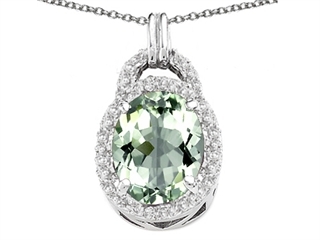 Tommaso Design(tm) Oval 10x8mm Genuine Green Amethyst and Diamond Pendant crafted in 14 kt White Gold Dimensions: Width: 10.00 mm Length: 15.00 mm. 1 Stone 2.00 Carats Oval 10x8mm Color: Light Green, 6 Stones 0.03 Carats Round Diamonds Color: K Clarity: I3 Free 18 inches chain included .. Metal Available: 14 kt Yellow Gold, 14 kt White Gold. Tommaso Design(tm) Emerald Cut 8x6mm Genuine Garnet Earrings crafted in 14 kt White Gold Dimensions: Width: 6.00 mm Length: 8.00 mm. 2 Stones 3.60 Carats Emerald Cut 8x6mm. 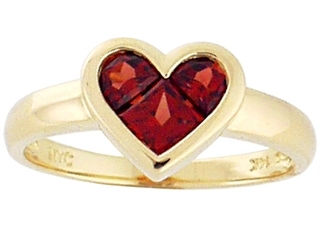 Color: Red-Brown Clarity: Eye Clean.. Metal Available: 14 kt White Gold, 14 kt Yellow Gold. 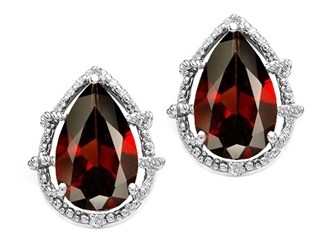 Tommaso Design(tm) Pear Shape 10x7mm Genuine Garnet and Diamond Earrings crafted in 14 kt White Gold Dimensions: Width: 9.00 mm Length: 12.00 mm. 2 Stones 3.50 Carats Pear Shape 10x7mm Color: Red-Brown, 4 Stones 0.02 Carats Round Diamonds Color: K Clarity: I3 Made in USA .. Metal Available: 14 kt White Gold, 14 kt Yellow Gold. 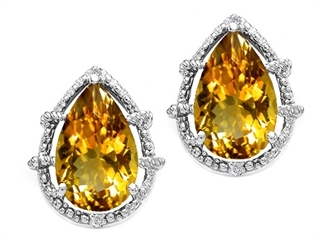 Tommaso Design(tm) Pear Shape 10x7mm Genuine Citrine and Diamond Earrings crafted in 14 kt White Gold Dimensions: Width: 9.00 mm Length: 12.00 mm. 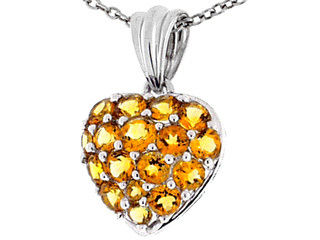 2 Stones 2.80 Carats Pear Shape 10x7mm Color: Medium to Dark Yellow-Orange, 4 Stones 0.02 Carats Round Diamonds Color: K Clarity: I3 Made in USA .. Metal Available: 14 kt White Gold, 14 kt Yellow Gold. 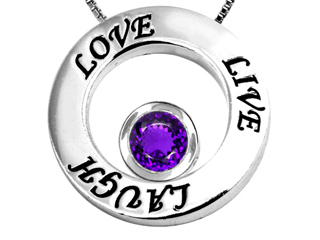 Tommaso Design(tm) Oval 7x5mm Simulated Alexandrite and Diamond Pendant crafted in 14 kt White Gold Dimensions: Width: 8.00 mm Length: 14.00 mm. 1 Stone 0.90 Carats Oval 7x5mm Color: Color Change, 3 Stones 0.06 Carats Round Diamonds Color: K Clarity: I3 Free 18 inches chain included .. Metal Available: 14 kt Yellow Gold, 14 kt White Gold. 14k Gold Genuine Oval Amethyst and Diamond Pendant crafted in 14 kt White Gold 1 Stone 1.00 Carats Oval Color: Violet Clarity: Clean, 3 Stones 0.06 Carats Round Diamonds Color: I Clarity: I1 Free 18 inches chain included .. Metal Available: 14 kt Yellow Gold, 14 kt White Gold. 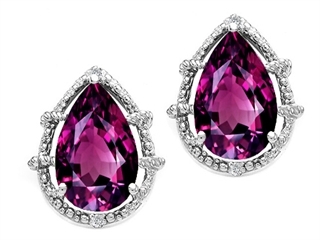 Tommaso Design(tm) Pear Shape 10x7mm Genuine Rhodolite and Diamond Earrings crafted in 14 kt White Gold Dimensions: Width: 9.00 mm Length: 12.00 mm. 2 Stones 3.50 Carats Pear Shape 10x7mm Color: Burgundy, 4 Stones 0.02 Carats Round Diamonds Color: K Clarity: I3 Made in USA .. Metal Available: 14 kt White Gold, 14 kt Yellow Gold. 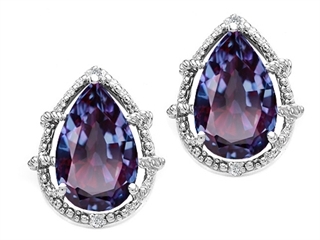 Tommaso Design(tm) Pear Shape 10x7mm Simulated Alexandrite and Diamond Earrings crafted in 14 kt White Gold Dimensions: Width: 9.00 mm Length: 12.00 mm. 2 Stones 3.50 Carats Pear Shape 10x7mm Color: Color Change, 4 Stones 0.02 Carats Round Diamonds Color: K Clarity: I3 Made in USA .. Metal Available: 14 kt White Gold, 14 kt Yellow Gold. 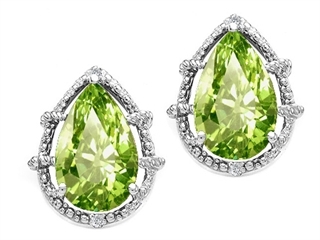 Tommaso Design(tm) Pear Shape 10x7mm Genuine Peridot and Diamond Earrings crafted in 14 kt White Gold Dimensions: Width: 9.00 mm Length: 12.00 mm. 2 Stones 2.80 Carats Pear Shape 10x7mm Color: Green-Yellow, 4 Stones 0.02 Carats Round Diamonds Color: K Clarity: I3 Made in USA .. Metal Available: 14 kt White Gold, 14 kt Yellow Gold. Tommaso Design(tm) Pear Shape 10x7mm Genuine Amethyst and Diamond Earrings crafted in 14 kt White Gold Dimensions: Width: 9.00 mm Length: 12.00 mm. 2 Stones 2.80 Carats Pear Shape 10x7mm Color: Violet, 4 Stones 0.02 Carats Round Diamonds Color: K Clarity: I3 Made in USA .. Metal Available: 14 kt White Gold, 14 kt Yellow Gold. Tommaso Design(tm) Oval 10x8mm Genuine Black Sapphire and Diamond Pendant crafted in 14 kt White Gold Dimensions: Width: 10.00 mm Length: 15.00 mm. 1 Stone 2.60 Carats Oval 10x8mm Color: Black, 6 Stones 0.03 Carats Round Diamonds Color: K Clarity: I3 Free 18 inches chain included .. Metal Available: 14 kt Yellow Gold, 14 kt White Gold. Tommaso Design(tm) Oval 10x8mm Genuine White Topaz and Diamond Ring crafted in 14 kt White Gold Dimensions: Width: 8.00 mm Length: 10.00 mm. 1 Stone 2.40 Carats Oval 10x8mm Color: Colorless, 2 Stones 0.01 Carats Round Diamonds Color: K Clarity: I3.. Metal Available: 14 kt Yellow Gold, 14 kt White Gold. 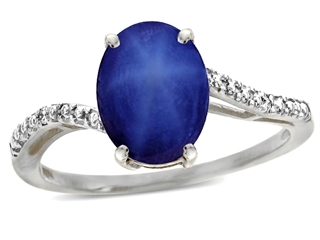 Tommaso Design(tm) Oval 10x8mm Created Star Sapphire and Diamond Ring crafted in 14 kt White Gold Dimensions: Width: 8.00 mm Length: 10.00 mm. 1 Stone 3.30 Carats Oval 10x8mm Color: Blue, 2 Stones 0.01 Carats Round Diamonds Color: K Clarity: I3.. Metal Available: 14 kt Yellow Gold, 14 kt White Gold. 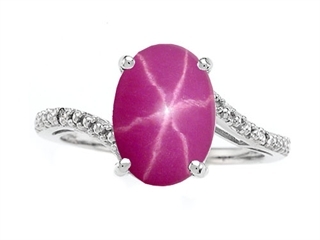 Tommaso Design(tm) Oval 10x8mm Created Star Ruby and Diamond Ring crafted in 14 kt White Gold Dimensions: Width: 8.00 mm Length: 10.00 mm. 1 Stone 3.30 Carats Oval 10x8mm Color: Red, 2 Stones 0.01 Carats Round Diamonds Color: K Clarity: I3.. Metal Available: 14 kt Yellow Gold, 14 kt White Gold. 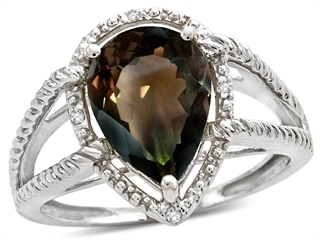 Tommaso Design(tm) Oval 10x8mm Genuine Smoky Quartz and Diamond Ring crafted in 14 kt White Gold Dimensions: Width: 8.00 mm Length: 10.00 mm. 1 Stone 2.00 Carats Oval 10x8mm Color: Brown, 2 Stones 0.01 Carats Round Diamonds Color: K Clarity: I3.. Metal Available: 14 kt Yellow Gold, 14 kt White Gold. 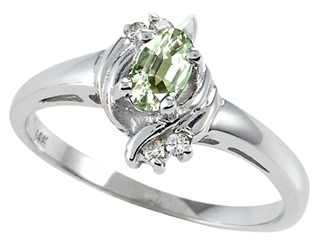 Tommaso Design(tm) Oval 10x8mm Genuine Peridot and Diamond Ring crafted in 14 kt White Gold Dimensions: Width: 8.00 mm Length: 10.00 mm. 1 Stone 2.00 Carats Oval 10x8mm Color: Green-Yellow, 2 Stones 0.01 Carats Round Diamonds Color: K Clarity: I3.. Metal Available: 14 kt Yellow Gold, 14 kt White Gold. 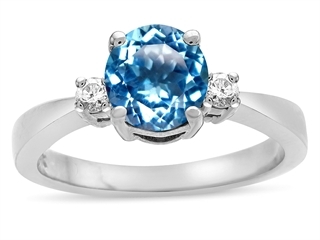 Tommaso Design(tm) Round 7mm Genuine Blue Topaz and Diamond Engagement Ring crafted in 14 kt White Gold Dimensions: Width: 12.00 mm Length: 7.00 mm. 1 Stone 1.35 Carats Round 7mm. Color: Medium Blue, 2 Stones 0.10 Carats Round Diamonds Color: K Clarity: I3 Made in USA .. Metal Available: 14 kt White Gold, 14 kt Yellow Gold. Tommaso Design(tm) Oval 5×3 mm Genuine Green Amethyst and Diamond Ring crafted in 14 kt Yellow Gold Dimensions: Width: 6.00 mm Length: 10.00 mm. 1 Stone 0.15 Carats Oval 5×3 mm. Color: Light Green, 4 Stones 0.04 Carats Round Diamonds Color: K Clarity: I3 Made in USA .. Metal Available: 14 kt Yellow Gold, 14 kt White Gold. 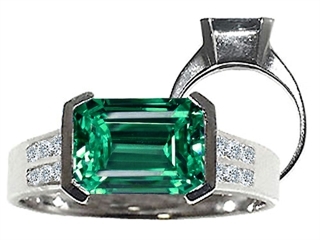 Tommaso Design(tm) Octagon cut 9x7mm Simulated Emerald And Genuine Diamond Ring crafted in 14 kt White Gold Dimensions: Width: 12.00 mm Length: 8.00 mm. 1 Stone 2.00 Carats Octagon cut 9x7mm. 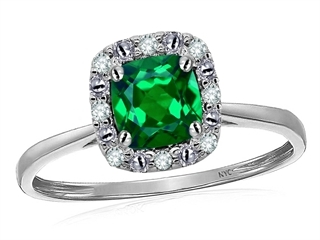 Color: Green, 12 Stones 0.12 Carats Round Diamonds Color: K Clarity: I3 Made in USA .. Metal Available: 14 kt Yellow Gold, 14 kt White Gold. 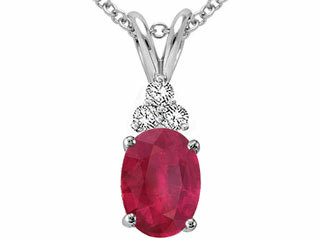 Tommaso Design(tm) Genuine Ruby and Diamond Pendant crafted in 14 kt White Gold Dimensions: Width: 5.00 mm Length: 15.00 mm. 1 Stone 0.90 Carats Ruby Oval 7×5 mm. Color: Medium Red, 3 Stones 0.06 Carats Round Diamonds Color: K Clarity: I3 Free 18 inches chain included .. Metal Available: 14 kt White Gold, 14 kt Yellow Gold. 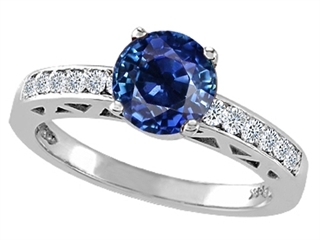 Tommaso Design(tm) Created Sapphire and Genuine Diamond Solitaire Engagement Ring crafted in 14 kt White Gold Dimensions: Width: 7.00 mm Length: 7.00 mm. 1 Stone 1.45 Carats Round 7mm. Color: Blue, 12 Stones 0.06 Carats Round Diamonds Color: K Clarity: I3 Made in USA .. Metal Available: 14 kt Yellow Gold, 14 kt White Gold. 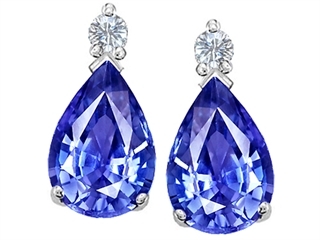 Tommaso Design(tm) Natural Genuine Quality 8×6 mm Pear Shaped Tanzanite and Diamonds Drop Earring Studs crafted in 14 kt White Gold Dimensions: Width: 6.00 mm Length: 11.00 mm. 2 Stones 1.70 Carats Pear Shape 8×6 mm Color: Medium Blue Violet, 2 Stones 0.04 Carats Round Diamonds Color: K Clarity: I3 Made in USA . 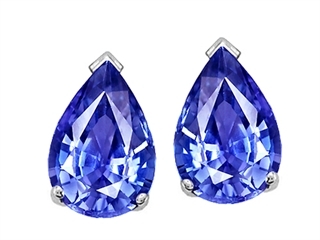 Tommaso Design(tm) 8×6 mm Pear Shaped Genuine Tanzanite Drop Earring Studs crafted in 14 kt White Gold Dimensions: Width: 6.00 mm Length: 8.00 mm. 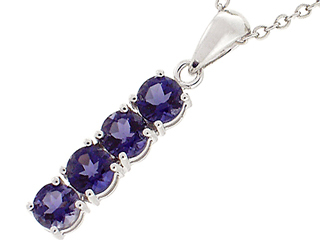 2 Stones 1.60 Carats Pear Shape 8 x 6 mm Color: Medium Blue Violet Made in USA . 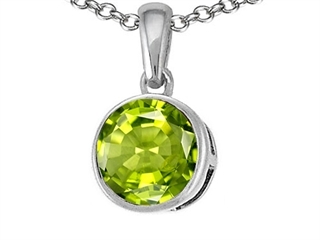 Tommaso Design(tm) Round Genuine Peridot Pendant crafted in 14 kt Yellow Gold Dimensions: Width: 8.00 mm Length: 15.00 mm. 1 Stone 1.10 Carats Round 7mm. Color: Green-Yellow Free 18 inches chain included .. Metal Available: 14 kt Yellow Gold, 14 kt White Gold. 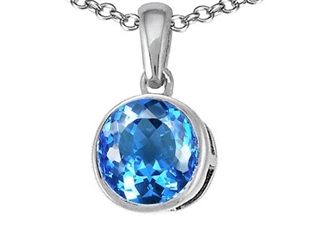 14k Gold Genuine Round Blue Topaz Pendant crafted in 14 kt Yellow Gold Dimensions: Width: 8.00 mm Length: 15.00 mm. 1 Stone 1.60 Carats Round Blue Topaz 7mm. Color: Medium to Dark Blue Clarity: Eye Clean Free 18 inches chain included .. Metal Available: 14 kt Yellow Gold, 14 kt White Gold. 14k Gold Genuine Round Aquamarine Pendant crafted in 14 kt Yellow Gold Dimensions: Width: 8.00 mm Length: 15.00 mm. 1 Stone 1.10 Carats Round Aquamarine 7mm. 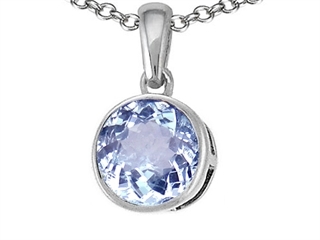 Color: Faint Blue Clarity: Clean Free 18 inches chain included .. Metal Available: 14 kt Yellow Gold, 14 kt White Gold. 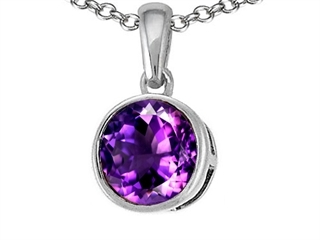 14k White Genuine Round Amethyst Pendant crafted in 14 kt Yellow Gold Dimensions: Width: 8.00 mm Length: 15.00 mm. 1 Stone 1.10 Carats Round Amethyst 7mm. 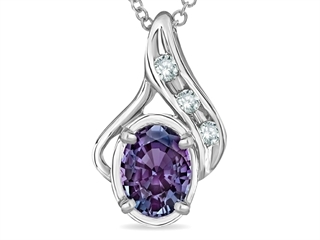 Color: Medium to Dark Violet Clarity: Eye Clean Free 18 inches chain included .. Metal Available: 14 kt Yellow Gold, 14 kt White Gold. 14k Gold Genuine Round Citrine Pendant crafted in 14 kt Yellow Gold Dimensions: Width: 8.00 mm Length: 15.00 mm. 1 Stone 1.10 Carats Round Citrine 7mm. Color: Medium to Dark Yellow-Orange Clarity: Eye Clean Free 18 inches chain included .. Metal Available: 14 kt Yellow Gold, 14 kt White Gold. 14k Gold Genuine Round Garnet Pendant crafted in 14 kt Yellow Gold Dimensions: Width: 8.00 mm Length: 15.00 mm. 1 Stone 1.60 Carats Round Garnet 7mm. 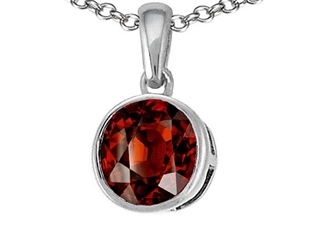 Color: Red-Brown Clarity: Eye Clean Free 18 inches chain included .. Metal Available: 14 kt Yellow Gold, 14 kt White Gold. 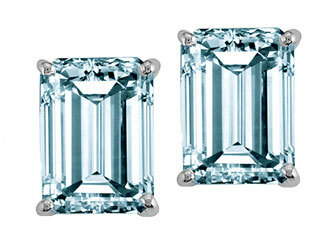 Tommaso Design(tm) 8x6mm Emerald Cut Simulated Aquamarine Earrings crafted in 14 kt White Gold Dimensions: Width: 6.00 mm Length: 8.00 mm. 2 Stones 3.00 Carats Aquamarine Emerald Cut 8x6mm. 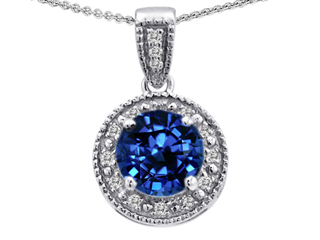 Color: Faint Blue.. Metal Available: 14 kt Yellow Gold, 14 kt White Gold. 14k White Gold Genuine Round Yellow Sapphire and Diamond Pendant crafted in 14 kt White Gold Dimensions: Width: 6.00 mm Length: 11.00 mm. 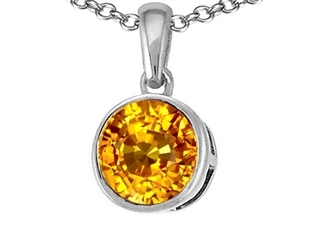 0.60 Carats Yellow Sapphire Round 6mm Color: Medium to Light Yellow-Orange Clarity: Clean, 0.03 Carats Round Diamonds Color: I Clarity: I1 Free 18 inches chain included . 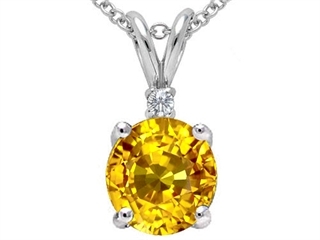 Genuine Round Yellow Sapphire Pendant crafted in 14 kt White Gold Dimensions: Width: 7.00 mm Length: 14.00 mm. 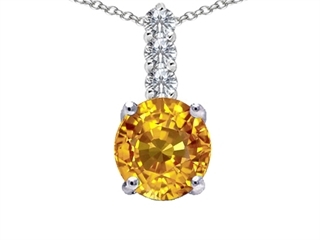 1.10 Carats Yellow Sapphire Round 6mm Color: Medium to Light Yellow-Orange Clarity: Eye Clean, 0.02 Carats Round Diamonds Color: I Clarity: I1 Free 18 inches chain included . 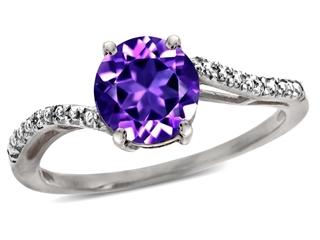 Original Star K(tm) 7mm Round Simulated Alexandrite Engagement Ring crafted in 925 Sterling Silver Dimensions: Width: 10.00 mm Length: 10.00 mm. 1 Stone 1.50 Carats 7mm round Color: Color Change, 44 Stones 1.00 Carats Cubic Zirconia Color: Colorless. 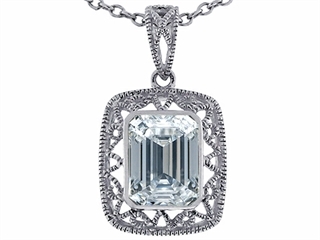 Tommaso Design(tm) Emerald Cut Genuine White Topaz Pendant crafted in 10 kt White Gold Dimensions: Width: 12.50 mm Length: 20.00 mm. 1 Stone 1.80 Carats Emerald Cut 8 x 6mm Color: Colorless Free 18 inches chain included . 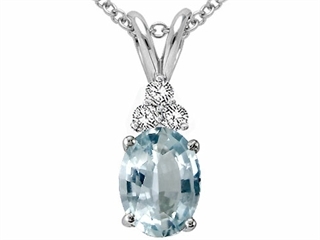 Genuine Aquamarine and Diamond Pendant crafted in 14 kt White Gold Dimensions: 15mm. long x 5mm. wide1 Stone 1.50 Carats Aquamarine Oval 8x6mm Color: Faint Blue Clarity: Clean, 0.06 Carats Round Diamonds Color: I Clarity: SI1 – SI2 Free 18 inches chain included . Metal Available: 14 kt White Gold, 14 kt Yellow Gold. 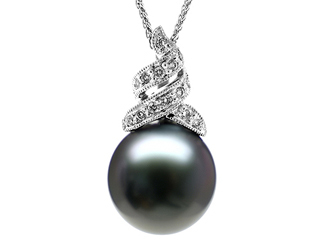 This beautiful Tahitian pendant has an 11-12mm pearl surrounded with 14k white gold and 14 diamonds. Total diamond weight is .12 carats Free 16 Inches chain included!. 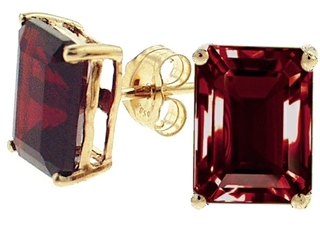 Genuine Invisible Set Garnet Ring crafted in 14 kt Yellow Gold 3 Stones 1.20 Carats Garnet Color: Red-Brown Clarity: Eye Clean. 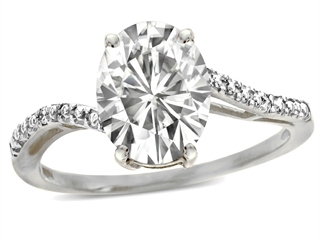 Metal Available: 14 kt White Gold, 14 kt Yellow Gold. 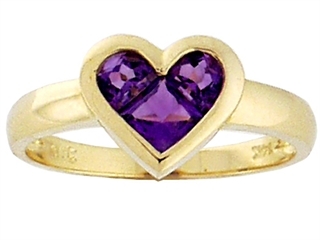 Invisible Set Amethyst Ring crafted in 14 kt Yellow Gold 3 Stones 0.80 Carats Amethyst Color: Medium to Dark Violet Clarity: Eye Clean. 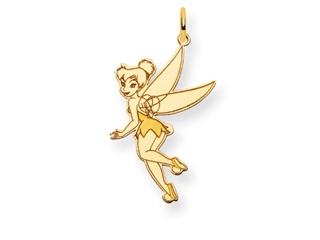 Metal Available: 14 kt Yellow Gold, 14 kt White Gold. 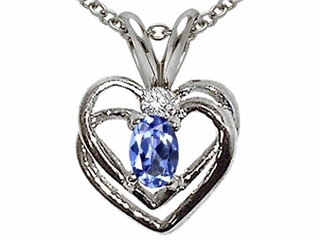 Genuine Tanzanite and Diamond Heart Pendant crafted in 14 kt Yellow Gold Dimensions: 10mm. wide x 14mm. long0.25 Carats Tanzanite Oval 5×3 mm Color: Medium to Dark Violet Clarity: Eye Clean, 0.02 Carats Round Diamonds Color: I Clarity: SI1 – SI2 Free 18 inches chain included . 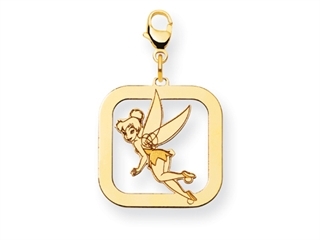 Metal Available: 14 kt Yellow Gold, 14 kt White Gold. 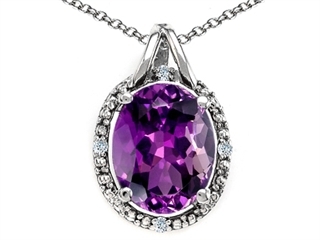 14k Gold Genuine Oval Amethyst and Diamond Pendant crafted in 14 kt White Gold 1 Stone 3.00 Carats Oval Color: Violet Clarity: Clean, 4 Stones 0.02 Carats Round Diamonds Color: I Clarity: SI Free 18 inches chain included . Metal Available: 14 kt Yellow Gold, 14 kt White Gold. 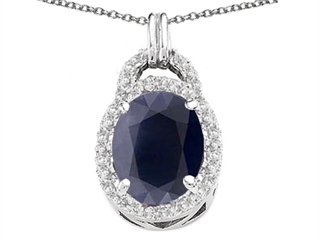 14k White Gold Genuine Diamonds and Round Lab Created Sapphire Pendant crafted in 14 kt White Gold Dimensions: Width: 9.00 mm Length: 12.00 mm. 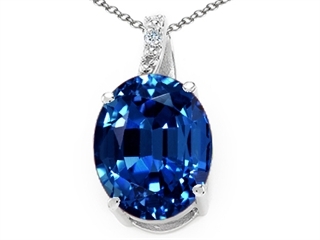 1 Stone 0.60 Carats Round 6mm Color: Blue Clarity: Clean, 15 Stones 0.15 Carats Round Diamonds Color: I Clarity: SI1 – SI2 Free 18 inches chain included . 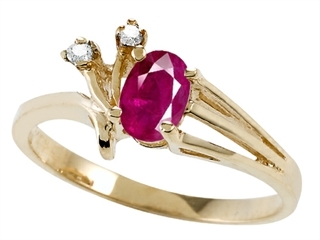 Genuine Ruby and Diamond Ring crafted in 14 kt Yellow Gold 0.60 Carats Oval Ruby 6x4mm. Color: Medium to Dark Red Clarity: Eye Clean, 2 Stones 0.04 Carats Round Diamonds Color: I Clarity: SI1 – SI2 Made in USA . Metal Available: 14 kt Yellow Gold, 14 kt White Gold. 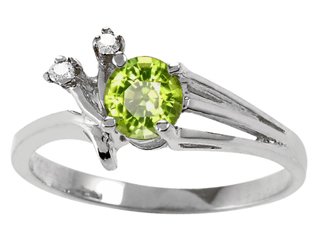 10k Gold Genuine Peridot and Diamond Ring crafted in 10 kt White Gold 0.65 Carats Rnd 5mm. 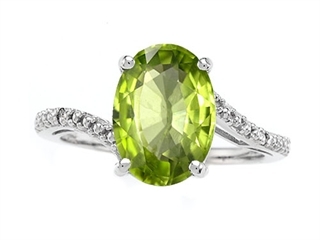 Color: Medium to Dark GreenYellow-Green Clarity: Clean, 2 Stones 0.04 Carats Round Diamonds Color: I Clarity: SI1 – SI2 Made in USA . Metal Available: 10 kt White Gold, 10 kt Yellow Gold. 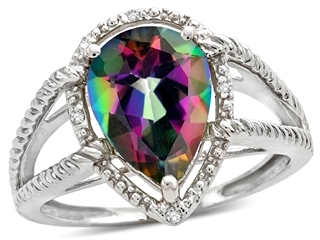 10k Gold Genuine Pear Shape Mystic Rainbow Topaz and Diamond Ring crafted in 10 kt White Gold 1 Stone 2.50 Carats Pear Shape Color: Multicolor Clarity: Clean, 4 Stones 0.02 Carats Round Diamonds Color: I Clarity: SI1 – SI2 Made in USA . 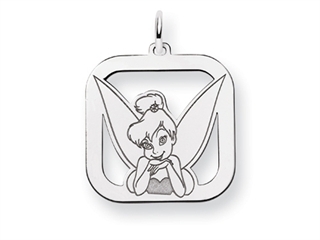 Metal Available: 10 kt White Gold, 10 kt Yellow Gold. 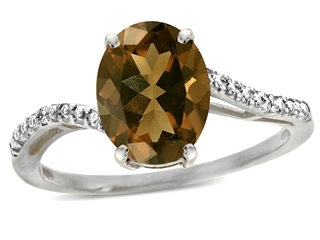 10k Gold Genuine Pear Shape Smoky Quartz and Diamond Ring crafted in 10 kt White Gold 1 Stone 2.50 Carats Pear Shape Color: Brown Clarity: Clean, 4 Stones 0.02 Carats Round Diamonds Color: I Clarity: SI1 – SI2 Made in USA . 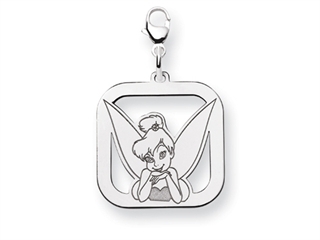 Metal Available: 10 kt White Gold, 10 kt Yellow Gold. 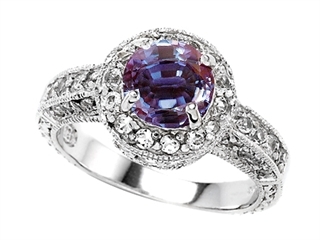 10k Gold Lab Created Pear Shape Alexandrite and Diamond Ring crafted in 10 kt White Gold 1 Stone 2.50 Carats Pear Shape Color: Color Change Clarity: Clean, 4 Stones 0.02 Carats Round Diamonds Color: I Clarity: SI1 – SI2 Made in USA . Metal Available: 10 kt White Gold, 10 kt Yellow Gold. 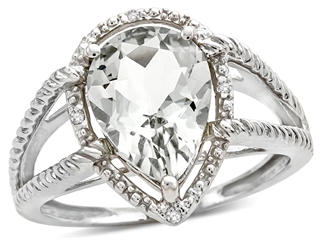 10k Gold Genuine Pear Shape White Topaz and Diamond Ring crafted in 10 kt White Gold 1 Stone 3.00 Carats Pear Shape Color: Colorless Clarity: Clean, 4 Stones 0.02 Carats Round Diamonds Color: I Clarity: SI1 – SI2 Made in USA . Metal Available: 10 kt White Gold, 10 kt Yellow Gold. 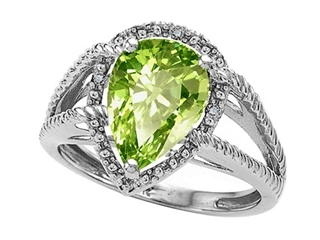 10k Gold Genuine Pear Shape Peridot and Diamond Ring crafted in 10 kt White Gold 1 Stone 2.50 Carats Pear Shape Color: Green-Yellow Clarity: Clean, 4 Stones 0.02 Carats Round Diamonds Color: I Clarity: SI1 – SI2 Made in USA . Metal Available: 10 kt White Gold, 10 kt Yellow Gold. 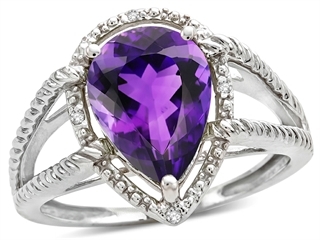 10k Gold Genuine Pear Shape Amethyst and Diamond Ring crafted in 10 kt White Gold 1 Stone 2.50 Carats Pear Shape Color: Medium to Dark Violet Clarity: Clean, 4 Stones 0.02 Carats Round Diamonds Color: I Clarity: SI1 – SI2 Made in USA . Metal Available: 10 kt White Gold, 10 kt Yellow Gold. 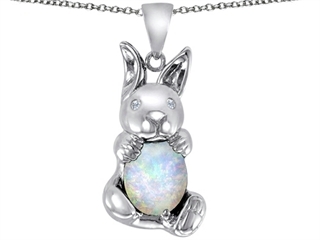 14K White Gold Plated 925 Silver Love Bunny Pendant With Created Oval Opal and 2 Genuine Diamond eyes crafted in 14k White Gold Plated Silver Dimensions: Width: 15.00 mm Length: 30.00 mm. 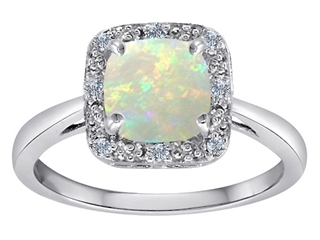 1 Stone 5.00 Carats Oval 10 x 9 mm Created Opal Color: White iridescent Clarity: Clean, 2 Stones 0.02 Carats Genuine Diamond Color: I Clarity: SI Free 18 inches chain included . 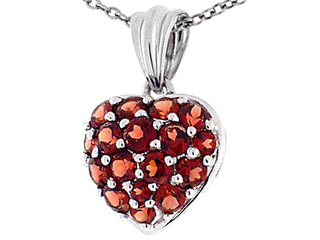 14k White Gold 1inch Puffed Heart with Genuine Garnet Pendant crafted in 14 kt White Gold Dimensions: Pendant is 21.5mm. long x 14mm. wide.17 Stones 2.05 Carats Round Garnet 3mm.-3.5mm. Color: Red-Brown Clarity: Eye Clean Free 18 inches chain included . Metal Available: 14 kt Yellow Gold, 14 kt White Gold. Brass Rim With Leather Stand. Requires 1-AA Battery. ; Collection: Wristwatch; Material: Brass, Leather, Plastic, Aluminum; Finish: Brass Rim With Leather Stand. Requires 1-Aa Battery. ; Dimensions: 2″D x 3.25″W x 4.5″H; Uttermost’s Clocks Combine Premium Quality Materials With Unique High-style Design. ; With The Advanced Product Engineering And Packaging Reinforcement, Uttermost Maintains Some Of The Lowest Damage Rates In The Industry. Each Product Is Designed, Manufacturered And Packaged With Shipping In Mind.